Education Q. Does Missouri Require Continuing Education for Nurses? A. Missouri statutes do not require continuing education as a condition of either original or renewal licensure. You may wish to keep your own records on continuing education or ask your employer to keep records for you. 20 CSR 2110-2.010 Licensure by Examination—Dentists (E) Hold current certification in the American Heart Association’s Basic Life Support for the Healthcare Provider (BLS) or an equivalent certification approved by the Missouri Dental Board. Board-approved courses shall meet the American Heart Association guidelines for cardiopulmonary resuscitation (CPR) and Emergency Cardiovascular Care (ECC) and provide written and manikin testing on the course material by an instructor who is physically present with the students. Online-only courses will not be accepted to satisfy the BLS requirement. EMS Relicensing Checklist CORE REQUIREMENTS FOR EMT-PARAMEDIC Section I B. 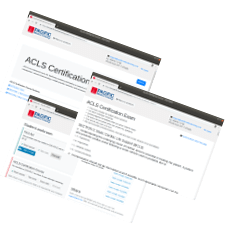 Current CPR Certification (regardless of teaching agency all CPR training must adhere to AHA or American Red Cross or National Safety Council Standards). Total number of locations: 29. These locations CAN provide American Heart Association-branded provider cards if needed. Bette Colonius attended a bingo benefit with her daughter in early celebration of her 65th birthday. Following the event, she collapsed in the parking lot around 10 pm. Jonna Eckenrod heard the commotion and ran outside to see what was wrong. She checked for a pulse and began CPR. She was quickly joined by veterens Kory Effinger and Tom Ede. By the time the ambulance arrived she was breathing erratically. Colonius is now recovering in the hospital. Zach Howard and his wife were just home in the evening when they heard a very loud crash later that night. When they investigated, a blue pick up truck just crashed into their neighbor's side of the house and saw the driver lying on the ground. He stopped breathing and Howard, without wasting a second, immediately performed CPR. The driver was revived and was later brought to the hospital by paramedics.